In the Eastern Aegean between Crete and Asia Minor, are the islands of the Dodecanese, consisting of about 200 large and small islands, of which only 15 are inhabited. They form the province Dodecanese with its capital Rhodes. The total area of ​​the province of Dodecanese is approx. 2663 km2. The islands are more mountainous with small fertile plains between the mountains, especially in Rhodes and Kos. The Highest Mountain peaks are Attavyros on Rhodes and the Kalolimni on Karpathos (approx. 1300m). The islands have a Mediterranean climate, with mild winters and not too hot summers . The islands of this group were inhabited by the Telchinern and Karen since the 4th Cent. BC. Later the Minoans founded a trading post in Rhodes. During the Mycenaean period (after 1400 BC. ) Achaeans Emigrated from the Peloponnese, then Dorians and Ionians. The Artful Rhodian ceramics that were found in widely scattered archaeological sites, are a testimony to the farther trade relations that the Rhodeir had in this historical period. The inhabitants of Rhodes and Kos were also important factors in the colonisation of Asia Minor and Sicily. During the Persian Wars, the Dodecanese was subdued by the enemy in power, but soon freed by the Athenians fleet. They then joined the Delian League but left this shortly before the end of the Peloponnesian War. Toward the end of 5th Cent. BC. Rhodes itself had become a major maritime power, and in the 4th Cent. also Kos witnessed a flourished period, mainly because of its, by Hippocrates established, medical school . During the Hellenistic and Roman periods both islands were important cultural and spiritual centres. During Byzantine Empire, the Dodecanese formed a part of the Eastern Empire. The islands were then attacks by Persians, Arabs, Venetians, Genoese and there than exposed by the Crusaders. In 1309 the islands were conquered by the Knights of St John , and in 1522 by the Ottomans. During the War of Liberation in 1821, the inhabitants of the Dodecanese Fought at the side of all the Greeks , but the Dodecanese had been awarded to the Ottomans as a replacement for the assignment of Evia in to Greece. In 1912 the Italians occupied the Dodecanese. 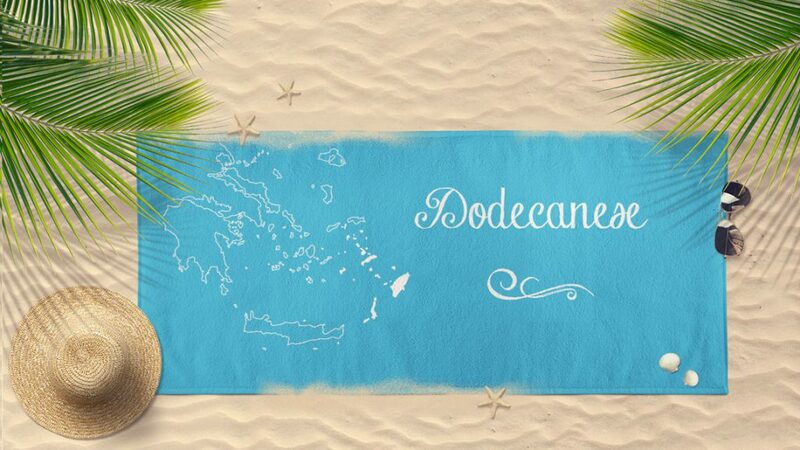 It was only in 1948, after a special agreement, that the Dodecanes has been incorporated into the Greek state.